Uridine supports formation of brain synapses and neuronal membranes. Uridine is a relatively unknown dietary supplement ingredient, yet it is found in a wide variety of foods. In fact, uridine is one of the reasons that fish is known as “brain food” and brewer’s yeast is recognized for its health benefits. Uridine, along with adenosine, guanosine, and cytidine, is one of the four nucleosides that form RNA (RiboNucleic Acid). Whenever you are already using or considering memory-enhancing supplements, you may also consider using uridine as the process of storing memories in the brain requires large amounts of RNA to facilitate protein translation at your neuronal synapses. A higher uridine intake to increase levels of RNA in the brain will improve memory formation and retention performance. RNA has an integral role in the formation and encoding of memories via long-term potentiation. Memories are stored in the brain as connections between neurons called synapses. These connections are physical and their development requires significant amounts of protein translation to be directed by RNA. While RNA levels decrease as we age, adding extra uridine to our diet, can keep these levels higher resulting in better memory function. Some studies suggest uridine may also work as an anti-depressant because of how it works together with choline (like Alpha GPC), fatty acids such as DHA or phosphates. This is because uridine is a precursor to membrane phospholipids and signals changes in the composition and activity of brain cells. 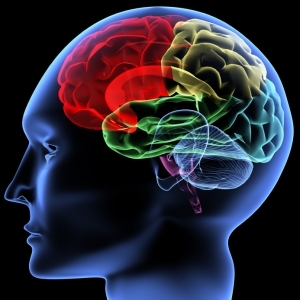 Higher uridine levels in the brain also result in increased dopamine production in the brain. Dopamine is responsible for regulating mood and movement and well-known as a ‘feel good’ neuro-chemical that is involved with pleasure, arousal and motivation. In addition to this, uridine also converts to CDP citicoline within the brain. 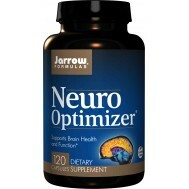 This is thought to have the effect of increasing the synthesis of acetylcholine, which helps to increase the brain's plasticity and working memory. Uridine also helps to synthesize the phosphatidylcholine, which is important for the regulation of enzymes in the brain. Phosphatidylcholine increases the production of neurites, which also results in greater plasticity and better learning and adaptation capacity. Higher uridine levels lead to improved working memory and enhanced fluid intelligence, resulting in a higher capability to write, read, or simply just concentrate on difficult tasks. Most of this is caused by its conversion into (acetyl)choline. Given the mechanisms of action for uridine it may not be surprising that many researchers feel it can help to slow down the process of brain aging. As a result, there is even speculation regarding its ability to fight off depression and prevent certain forms of dementia, because of its importance in the formation of RNA. Another interesting effect of uridine is that it repairs brain membrane fluidity, so scientists think that it might actually improve the health of your brain cells. Uridine also has a more mundane effect: it helps to increase the output of energy (ATP or adenosine triphosphate) in the brain as well as convert glucose into energy, even under restricted oxygen conditions. But there is more: uridine has a direct signaling function in the brain. Uridine activates brain P2Y receptors, which control neuronal differentiation and synaptic protein synthesis. 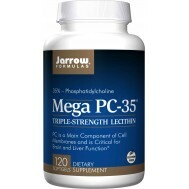 In fact, the omega-3 fatty acid docosahexaenoic acid (DHA) works together with uridine in the brain. Uridine is equally important for liver health, as the liver has an abundance of mitochondria, since it requires so much energy for detoxifying your body. There is a link between pyrimidine metabolism –– which includes some nucleosides, such as uridine –– and the accumulation of fat in the liver. Liver lipid accumulation is correlated with obesity and diets high in fructose, occurrences not uncommon to modern humans, and is usually a strong indication of metabolic imbalance itself. A recent paper suggests that uridine suppresses fat accumulation by influencing the activity of liver enzymes and those of nicotinamide adenine dinucleotide NAD+/NADH ratio in particular, which determines the health and energy state of the cell. Uridine may not just play an important role int he liver mitochondria, but also throughout the entire body, which is of interest to athletes. This connection also suggests that other ingredients that impact mitochondria function and renewal, such as ubiquinol (QH) and PQQ (pyrroloquinoline quinone) make for useful additions to regimens that include uridine.